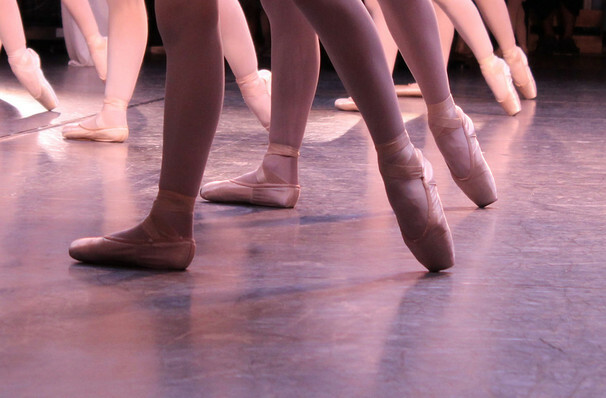 Why See American Ballet Theatre: ABT Kids? American Ballet Theatre returns once more to present this very special programme aimed at introducing your little ones to the mastery and magic of ballet! Featuring excerpts from the ABT's extensive repertoire and narration, this one hour show is sure to be a treat for a first time ballet-goer, with dazzling costumes, sparkling sets, and of course, delightful dance to fire the imagination. American Ballet theatre is one of the country's most well respected ballet companies, consistently creating new and innovative work alongside perfectly pitched presentations of the classics, such as Swan Lake and The Nutcracker. Sound good to you? 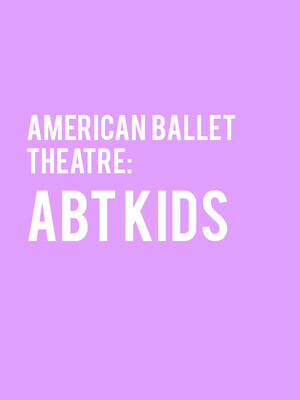 Share this page on social media and let your friends know about American Ballet Theatre: ABT Kids at Metropolitan Opera House. Please note: The term Metropolitan Opera House and/or American Ballet Theatre: ABT Kids as well as all associated graphics, logos, and/or other trademarks, tradenames or copyrights are the property of the Metropolitan Opera House and/or American Ballet Theatre: ABT Kids and are used herein for factual descriptive purposes only. We are in no way associated with or authorized by the Metropolitan Opera House and/or American Ballet Theatre: ABT Kids and neither that entity nor any of its affiliates have licensed or endorsed us to sell tickets, goods and or services in conjunction with their events.